If you would like to attend the AGM, please complete this application form. Please note that there is no charge to branches for delegates to attend the AGM, although branches will be required to pay for travel and subsistence. All forms need to be returned by 5pm on Monday 12 November 2018. A buffet lunch and refreshments will be provided. Creche facilities can be provided for those who request them. Please include details of any access or dietary requirements on the application form. Nominations are sought for membership of the regional disabled members’ committee for the year 2019. There are 20 seats on the disabled members’ committee. If you are interested in becoming a member of the committee, you are able to ‘self-nominate’. Self nomination is seen as a key factor to increasing participation from under-represented groups at a local and regional level. 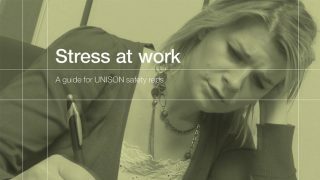 In addition, UNISON supports the social model of disability, and recognises that members may not want their disability made known to other Branch representatives. It is important to bear in mind, however, that it is beneficial for you to discuss your nomination with your branch to ensure that you have their support. Being a member of the disabled members’ committee means making a commitment to playing an active role in progressing issues of disability inequality at a local, regional and national level. If you wish to join the Committee, the first committee meeting will take place at immediately after the AGM on 29 November and will include a short induction session. To self-nominate please complete this form (green) and return by 5pm Monday 12 November 2018. Following the election to the Regional Disabled Members’ Committee, elections will be held for all other seats as listed in this nomination form (yellow). Please note that although there are a number of seats reserved explicitly for disabled members, there is also opportunity to make further nominations to service group and regional committees.